There's one thing I think we all need as we build our businesses is to find better, easier ways to boost productivity. If you’ve ever planned out a launch in advance (and you better be doing some of that! ), then you know also know the feeling of getting behind. You’ve got a set number of weeks before your launch happens–maybe 12, maybe 2. You tell yourself you’ll finish all the backend web setup this week. Then, next week you’ll move onto writing your emails and getting those out. But the week blows up – you get lazy – maybe you get sick – you have an off day and then BAM! You hit a Friday and realize half the things you wanted to get done for the launch were set back due to something someone did or didn’t do. And that means only one thing. The unfinished work gets carried to next week – adding to the already planned tasks that have to get done. Keep going at this rate and the work just keeps piling up. You might experience overwhelm, meltdowns and might (but hopefully not) just give up. But you can avoid all that. 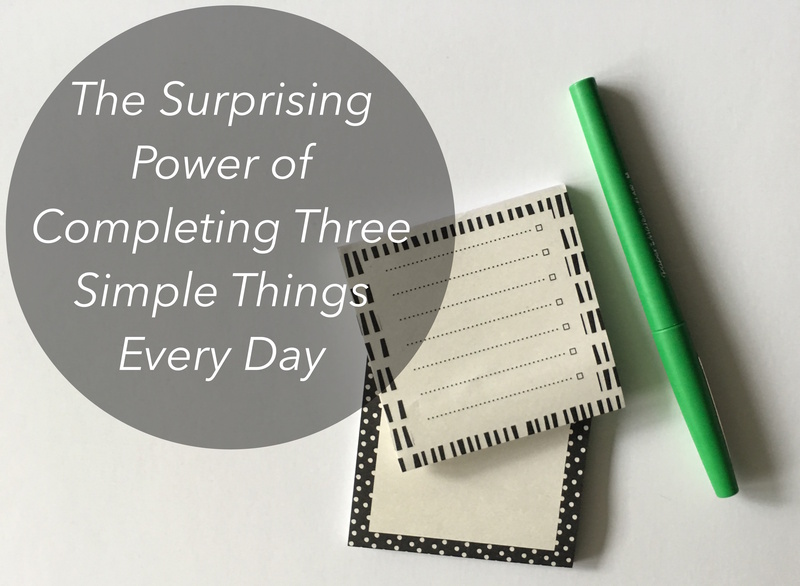 Each morning – I solidify my top 3 for the day. If I’m in a launch, they are all about the launch. Since I do spend time in the months before my launch plotting out all the deliverables for the launch, I know what I’m responsible for. I choose my top three that will move the launch forward that week. I make sure my team also does the same thing. If you’ve been on Periscope with me (@annesamoilov) – you may have seen me set my top three there — and asked you to set your top 3 too! Not only have I seen a rise in the quality of work I’ve been able to accomplish since committing to setting my own priorities for the day…I’ve gotten reports that it’s helping you too! When you practice setting your top three during your own off season, you’re actually training yourself to implement and execute when you need it the most–I’d say a launch is pretty important. Every morning before your day starts ask and answer these simple questions to help you find your top 3. You’ll likely find more than three…so if you answer one question and have three things, stop there. What is important for you to complete today? What would help you move an important project forward? What would feel great to get off your plate? A few rules to help you pick the best and most highly leveraged work. #1: Don’t always pick busy work to fill those top 3. #2: Start with something related to improving your revenue. #3: No time in the morning? No problem! Set your top 3 at night before you go to bed. There is no science to this. The important thing is that you practice it every single day. Once you get the hang of setting and completing, it starts to form a nice habit. The ritual and the skill of saying, “I’ll do this”…and then doing it can have surprising effects. Confidence in your ability to follow through. Believe improves that you can actually launch something. And you will spend most days doing important work first! This short and sweet message comes to you today because it’s Monday, the beginning of a new week and I’m passionate about helping you focus on the important things in your business…not wasting time with activities that will not help you grow. Set your top three now (no matter when you’re reading this) and post in the comments below. You can also tag me on Instagram (@annesamoilov) or join me to set your top 3 live every Monday at 9am PST on Periscope (@annesamoilov). And if you've been setting your top three already, I invite you to take the next step to making sure you launch faster inside my signature program Fearless Launching. We're open for a short early enrollment now through Friday, October 30th at 11:59pm PST and it's perfectly aligned with completing a little bit every day to reach your end goal of launching!